Published: March 9, 2017 at 09:55 p.m. Updated: March 10, 2017 at 08:01 p.m.
EDITOR'S NOTE: This story was published prior to the Patriots acquiring Kony Ealy from the Panthers and Brandin Cooks from the New Orleans Saints. The day included Tony Romo saying farewell with a Bob Dylan soundtrack, an NBA-style salary dump of Brock Osweiler, the Cleveland Browns -- THE CLEVELAND BROWNS! -- doing something revolutionary and smart, and the reigning Super Bowl champion churning its roster not even five weeks after hoisting the Lombardi Trophy. What looked at the outset to be a staid free agency period with a shallow pool of top-tier talent turned briefly Thursday afternoon into a wild free-for-all. When it was over, the NFL was almost exactly where it was when the day began: with the rest of the league scrambling to keep up with New England, while the Patriots managed to steadily improve their roster. That, after all, is what the Houston Texans' astounding trade to rid themselves of Osweiler and his contract -- as a thank-you payment, they gave the Browns a second-round draft pick in 2018 -- was all about. Osweiler, who seemed to be one of the big free agency winners when he chose the Texans over the Broncos last year, was the face of Houston's failure this postseason, when even moderately competent quarterback play in the Divisional Round might have given the Texans a victory over the Patriots. When Osweiler, who was still upset he had been benched by the Broncos in favor of Peyton Manning in 2015, chose the Texans' money over Gary Kubiak's Denver offense a year ago, there were plenty of people around the league who questioned whether he chose poorly, particularly when word got around that the Texans had signed Osweiler before coach Bill O'Brien had even met him. Almost immediately last season, everyone seemed to realize their mistake, and the Texans were intent on cutting their losses as soon as they could. There will be plenty of time for thinkpieces about how this style of trade may open a new horizon in the NFL, but the bottom line is clear: Osweiler is without a team -- the Browns plan to either trade Osweiler again or release him outright -- and the Texans are presumably awaiting the arrival of Romo, who was not immediately released by the Cowboys while Jerry Jones hoped against all odds that he could find a trading partner. The trade -- and what Osweiler has become -- was best summed up in a quote released by the Cleveland Browns, who would appear to be in no position to throw shade at anybody but managed to do it to Osweiler anyway. "We're really excited to acquire a second-round draft choice in this trade," said executive vice president of football operations Sashi Brown. Brown continued about how important draft picks are to the Browns before getting around to mentioning that the Browns look forward to having Osweiler compete. Brown, though, has a point. Cleveland's stockpile of draft picks is critical, and perhaps that second-rounder the Browns picked up will turn into something lasting -- that is certainly what they hope, as they, according to NFL Network Insider Ian Rapoport, try to craft a package that would entice the Patriots to part with backup quarterback Jimmy Garoppolo. The Patriots have sent plenty of signals that they are not going to trade Garoppolo, but you need only look to the Patriots' signing of former Bills cornerback Stephon Gilmore to know that nothing is sacred -- and nothing is predictable, except the abhorrence of complacency -- in Foxborough. 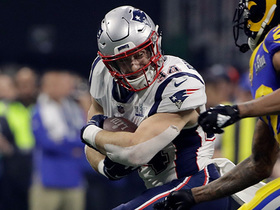 The move is out of character for the Patriots, who generally have preferred to let the first, big-money wave of free agency pass (or make trades, as they did for Colts tight end Dwayne Allen, to take the place of the departing Martellus Bennett) before swooping in to pick up a few bargain veterans. 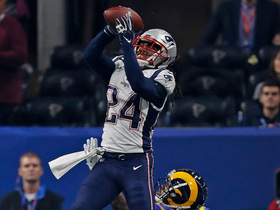 Gilmore, though, is just 26 years old and was among the best cornerbacks available. The reported contract, for five years and including $40 million guaranteed, is the kind of top-of-the-market deal that few Patriots -- including Tom Brady -- receive. 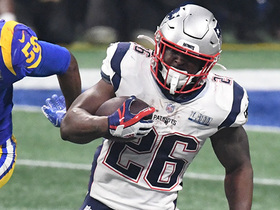 The Patriots have plenty of money -- they started with $55 million in cap space, a nice place to be with a Lombardi Trophy in hand -- but the fallout of this deal could be significant. It can't make cornerback Malcolm Butler, Super Bowl hero of recent vintage, happy that if he remains with the Patriots, he presumably will have to play on the first-round tender of $3.91 million he was assigned as a restricted free agent, a bargain-basement price for a corner of his caliber. Butler's name has been linked, though, to speculation that he could be traded in a deal for Saints receiver Brandin Cooks, who would be just another target for an already ferocious offense. And it would be another maddening reminder that the Patriots never rest on their considerable laurels. 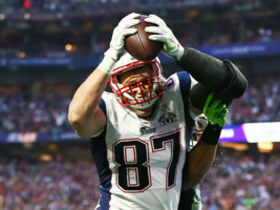 Had the Patriots remained exactly the same after this past season, they almost surely would have gotten better anyway -- just because tight end Rob Gronkowski, who missed the playoff run after going on injured reserve in December, would be healthy again. Instead, Belichick has put his foot on the gas once more, preparing his defensive backfield for the departure of free agent Logan Ryan (who later headed to the Titans) and perhaps even Butler. And the Patriots still have plenty of money to re-sign linebacker Dont'a Hightower, a defensive bedrock and Belichick favorite who has kept up communications with the Patriots while surveying the free agency landscape. There are surely competitors who will try to close the gap with the Patriots. Denver general manager John Elway is adding guard Ron Leary to improve the Broncos' weakest link, the offensive line, and if Houston lands Romo, the Texans might finally have an offense to match their defense. But Belichick's relentless churning of the roster is a reminder that the NFL's most successful franchise may stuff the trophy case, but it is never satisfied.